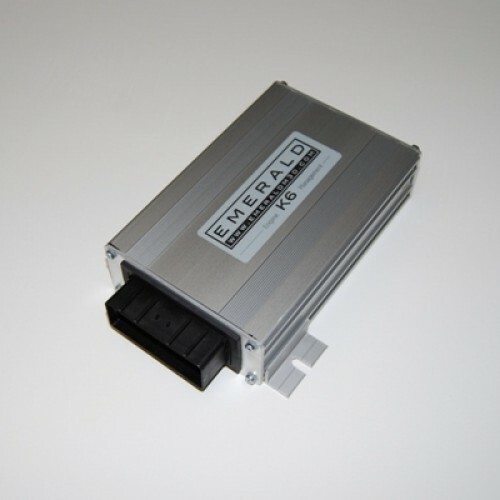 The K6 ECU - Generic, is supplied with 26 Base maps and 26 ECU configurations to suit the most common engine arrangements. All Generic K6 ECUs are supplied with a pre-installed base map suitable for a normally aspirated, conventional 4 cylinder 16v engines fitted with port throttles and producing circa 200 bhp. The additional Base maps and ECU configurations provided are intended to provide a starting point for setting up the K6 ECU for your specific engine and modification to both the Base map and ECU configuration will be required in all cases. Once up and running, full mapping on a Rolling Road is highly recommended. A User Manual, dedicated "ECU Configuration guide" and "Quick start guide" are all supplied in pdf form along with our latest PC software. To see the Base maps & ECU configurations included with a Generic K6 ECU please click to enlarge the picture above. The initial configuration and setup of the K6 ECU, although not complicated, does require a certain level of understanding to complete successfully, and can be made all the more daunting if the engine in question is something a little out of the ordinary. For cases such as these, or if you would just prefer it, please select "Emerald K6 ECU - Pre-configured" and the configuration and setup of the K6 ECU will be done for you. Dave Walker's "Engine Management Basics" article as well as other projects and articles in our "Knowledge Zone", "Projects" and "Walker's Workshop" could be of interest for you. Generic K6 ECUs normally ship within 2-3 working days.